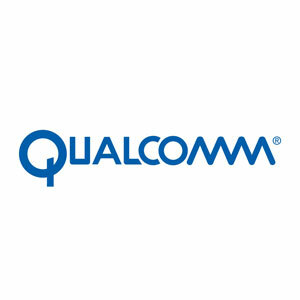 “As the world’s first announced Gigabit LTE modem to achieve speeds of up to 2 Gbps, the Snapdragon X24 LTE modem sets a major mobile industry milestone, designed to provide enhanced mobile broadband and deliver an extremely important gigabit coverage layer for commercial 5G networks and mobile devices that are expected to start launching in 2019,” said Serge Willenegger, senior vice president and general manager, 4G/5G and Industrial IOT, Qualcomm Wireless GmbH. “Further expanding on the use of 4×4 and LAA capability, the Snapdragon X24 packs a powerful array of the most advanced 4G LTE technologies commercially available, helping mobile operators to fully mobilize their spectrum assets and maximize the capacity of their Gigabit LTE networks, and mobile device makers to offer consumers a tangible glimpse of our 5G future”. As the world’s first commercially announced Category 20 LTE modem supporting download speeds up to 2 Gbps, the Snapdragon X24 LTE modem delivers 2x the speed of the Company’s first generation Gigabit LTE modem. The Snapdragon X24 supports up to 7x carrier aggregation in the downlink, as well as 4×4 MIMO on up to five aggregated LTE carriers – both mobile industry firsts – for a total of up to 20 concurrent spatial LTE streams. This unprecedented feature set is designed to allow devices that feature the Snapdragon X24 LTE modem to utilize all spectrum assets available from a mobile operator, whether in licensed spectrum, or with License Assisted Access (LAA). Additional system capacity improvements are made possible through support of Full Dimension Multi-Input Multi-Output (FD-MIMO), a Massive MIMO technology that is foundational to future 5G NR networks. In the uplink, Snapdragon X24 supports Category 20 upload speeds, 3×20 MHz CA and up to 256-QAM. “In 2017, NETGEAR and Telstra launched the world’s first commercial Gigabit LTE device and we are pleased to work with Telstra, Qualcomm Technologies and Ericsson for the next generation of unparalleled mobile devices. We know our customers value faster connectivity in their mobile work environments. This latest innovation represents another significant step up in speed and features that will give customers a real taste of what’s to come with 5G like performance,” said David Henry, senior vice president, connected home products, NETGEAR. The Snapdragon X24 LTE modem has started sampling to customers with the first commercial devices expected by the end of 2018.